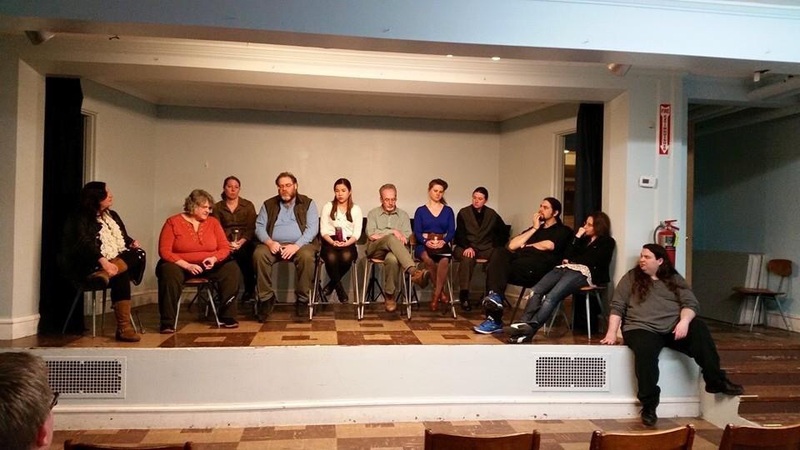 TONIGHT Like a Loss staged reading with Bare Bones! Join us this evening for the staged reading of our ten-minute installment “Like a Loss” with Bare Bones! Last night we had our dress rehearsal, where Eboracum Richter-Dahl and Brad Smith practiced their performance where faithful batman Henry Chapman tried to reach out to his longtime employer Colonel Reginald Prescott Hawking in a difficult time. I really love this piece because it is the most subtle of the Mrs. Hawking stories, being an exploration of people who must find ways to connect and express themselves without doing it overtly. It was an excellent challenge for me to rise to as a writer. And I love allowing the audience to have a glimpse of the Colonel, who we’ve heard so much about from other characters, and that many people have been wondering. So please join us at 8pm tonight at Unity Somerville at 8 William Street, Somerville, MA. We will be opening for a reading of The Wheel, written by Zinnie Harris and directed by Jess Viator.